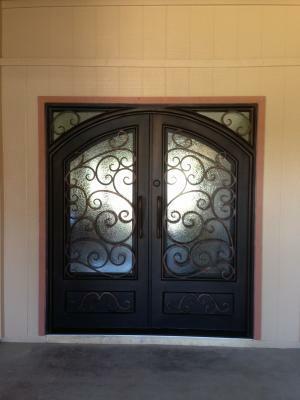 Every door built by Signature Iron Doors is built with precision and care. The designers work with clients to cater to all their needs and wishes. Highly qualified iron designers work with clients to bring their vision of a perfect home to life. 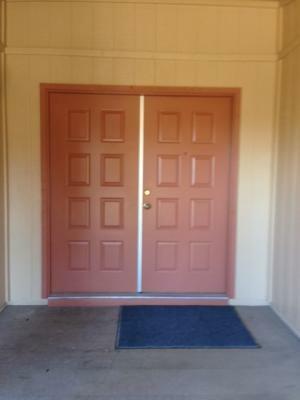 The door shown is one of many doors in the Phoenix Valley. Signature Iron has clients in Scottsdale, Glendale, Fountain Hills, Paradise Valley, and all through out the Arizona state. If you are looking for a new door for your home, call us at 480.388.3535 or stop by our showroom in Phoenix to speak with a sales representative about how to get an iron door to match your home!